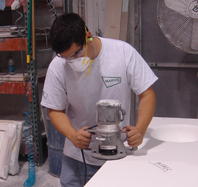 began working together to provide Corian® countertops to our kitchen cabinet refacing customers. As both of our businesses grew, the emphasis shifted to the more popular engineered stone and natural countertops which Marvic now provides to our customers in four states. Over the years, Marvic has always been eager to help us in whatever capacity we needed. The workmanship and installations of Marvic countertops have always been topnotch. The staff is friendly and the installations are handled professionally and reliably. Most of all, I think the Marvic management team operates with integrity and fairness exemplifying the spirit and values of a family run business. Marvic is truly a quality organization. Marvic started in a single shop with a band saw over four decades ago. 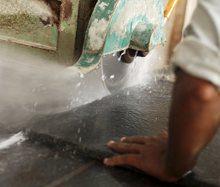 Today, we’re a three-location operation using state-of-the-art technology and techniques to fabricate and install fine, custom countertops. Marvic owns and operates a total of over 45,000 sq. ft. of office and manufacturing facilities where we fabricate these principal materials; granite and other natural stone, natural quartz (Zodiaq®, etc. ), and solid surface (Corian®, etc.). We use specialized scheduling and tracking systems to streamline our operations to keep jobs flowing smoothly from receipt of raw materials through production to installation. 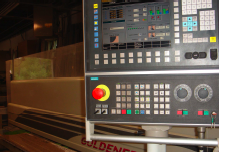 These precision manufacturing methods assure process consistency and quality control so Marvic countertops are ready on-time with the custom fit and premium finish customers demand and the market expects. Still, putting all of these modern fabrication tools and techniques to use doesn’t substitute for expert handcraftsmanship in shaping, sanding and buffing countertops to perfection. The unrivaled level of experience and talent of Marvic’s craftsmen is reflected in the shimmering radiance and enduring beauty of every countertop we make. Marvic understands that what happens in a customer’s home or on a job-site, not our shop, is what matters most. That’s why ours are the most-qualified installation specialists in the market. The same passion evident in our products is apparent in the approach we take in creating them, too. 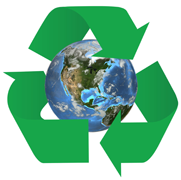 Marvic is committed to following responsible manufacturing practices and to offering a selection of products that minimizes our footprint on environmental resources.